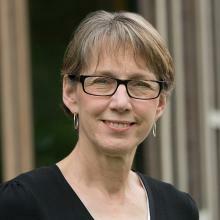 Prior to becoming the Director of Experiential learning, Professor Marion served as director of the Legal Analysis, Writing and Research Program for ten years and also served for eight years as faculty supervisor of the Externship Program. Additionally, as co-director of the Semester in Washington and the Semester in Harrisburg programs, Professor Marion works with students to develop appropriate placements in government and public interest agencies in Washington, D.C., and Harrisburg, PA. Before joining Penn State Dickinson Law, Professor Marion practiced tax law with Dechert LLP and McNees, Wallace & Nurick LLC. Her practice focused on multistate tax planning and litigation for national and international companies.